벨킨사는 IMAC, XBOX360등에서 사용가능한 미니디스플레이 포트 컨버터를 발표했다. 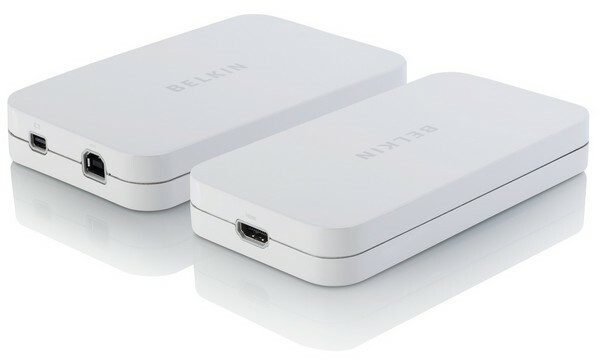 PLAYA VISTA, Calif.--(BUSINESS WIRE)--Belkin announces its new AV360 Mini DisplayPort Converter that adapts the signal from an HDMI® audio video source, such as a Blu-ray® player, Xbox®, PS3®, or cable box, to a DisplayPort-compatible signal. The new converter supports high-resolution video and audio, allowing customers to display HD content from external devices on the 27" iMac. "iMac will be available in late June 2010 in North America, Europe, and Asia." Belkin's AV360 Mini DisplayPort Converter for 27" iMac will be available in late June 2010 in North America, Europe, and Asia. HDMI is a registered trademark of HDMI Licensing LLC in the United States and other countries. iMac, MacBook, and Apple are trademarks of Apple Inc., registered in the U.S. and other countries.